Sylus Sims is 4 years old. He goes to South Godwin Head Start, just outside of Grand Rapids. On Wednesdays, his dad rides the bus with him and helps kids into the school. And then, Sylus learns things. "I know how to say milk in Spanish," he says proudly in his classroom. "Leche!" Every year about 900,000 kids go through some kind of Head Start program. To be eligible, a family must be at or below the federal poverty level – which is less than $24,000 per year for a family of four. Kids in this group are more likely to be behind in learning – that’s the whole reason Head Start exists. But it also means Head Start classrooms are a challenging place to teach. "At times, you wonder, 'Are they getting what I’m saying?'" says Nicole Timmons, the teacher's assistant in Sylus' class. "You’re so busy just trying to get them to sit, you’re like, 'I hope they’re learning something. But they are.'" Timmons knows they’re learning because every kid who goes through Head Start is closely tracked to see how their development is going. And the research has shown that kids who go to Head Start are better prepared when they enter kindergarten. It’s what happens in the next few years that draws the criticism. 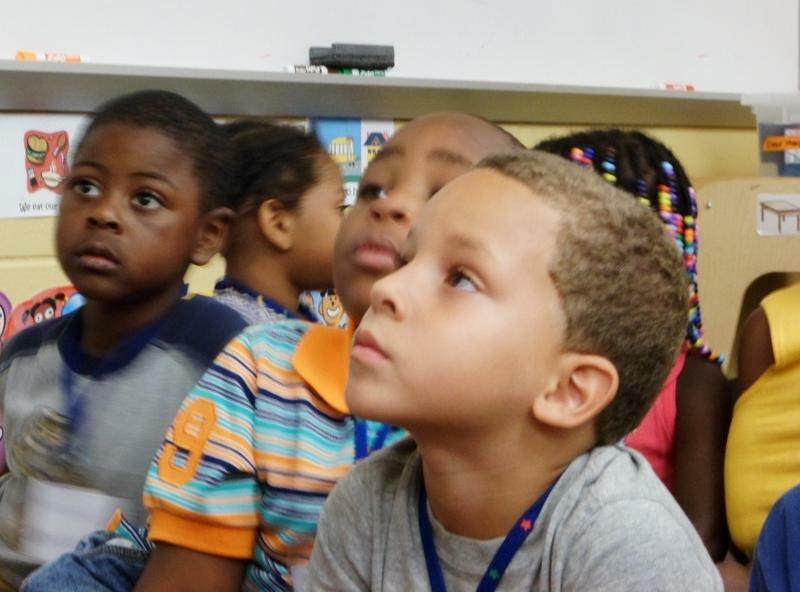 The agency responsible for Head Start ran a large-scale study on its effectiveness. And the study found that by third grade, the kids who went through Head Start were not much different than kids in the study’s control group. These results are the reason you hear people say that Head Start is a failure and a waste of money. People like conservative commentator Tucker Carlson, heard last week on Fox News. "Now we have had Head Start for 48 years," he said on the Hannity show. "We know an awful lot about how effective it is. And the evidence is in: it doesn’t work. It produces no measurable change in the education levels of kids. If you can’t cut Head Start, you’re not serious about cutting anything, period." But it’s not just conservatives who are claiming that Head Start is failing kids. The idea has been repeated over and over in the past few weeks. The problem is, many people are reading the Head Start research wrong. "When people say that – and you hear people say this, that the recent Head Start experiment shows that preschool doesn’t work, well, one I don’t think it shows that, says Tim Bartik, an economist at the W.E. Upjohn Institute for employment research in Kalamazoo. "First of all, Head Start is not all of preschool," he says. "Secondly, I don’t think it shows that even Head Start doesn’t work. There’s other research on Head Start than this experiment. Third, it doesn’t show that Head Start couldn’t be more effective." In fact, there have already been some major reforms to Head Start, and their effects were not measured in the Head Start study. Which means if Head Start funding is cut, the research suggests kids will fall behind – unless they can find some other preschool.